This episode talks about how you can get out of a creative block, whether you are blocked from making a painting, a sculpture, or anything. We’ll discuss blocks that come from not being able to start a project, the block that comes from having too many choices, and the block that comes from fear. For all of these, you can fall into a trap of overthinking, which can lead to an inability to do anything creative. I’ll give you methods of how you can get past these creative blocks. Is this a completed painting? No, but it was enough to get me out of a block. I used canvas paper rather than an expensive canvas, and I just started playing around with colors. That’s a great way to get into some painting when you’ve been away from it and you need to go back. Just play around for 10 minutes, and see what happens. 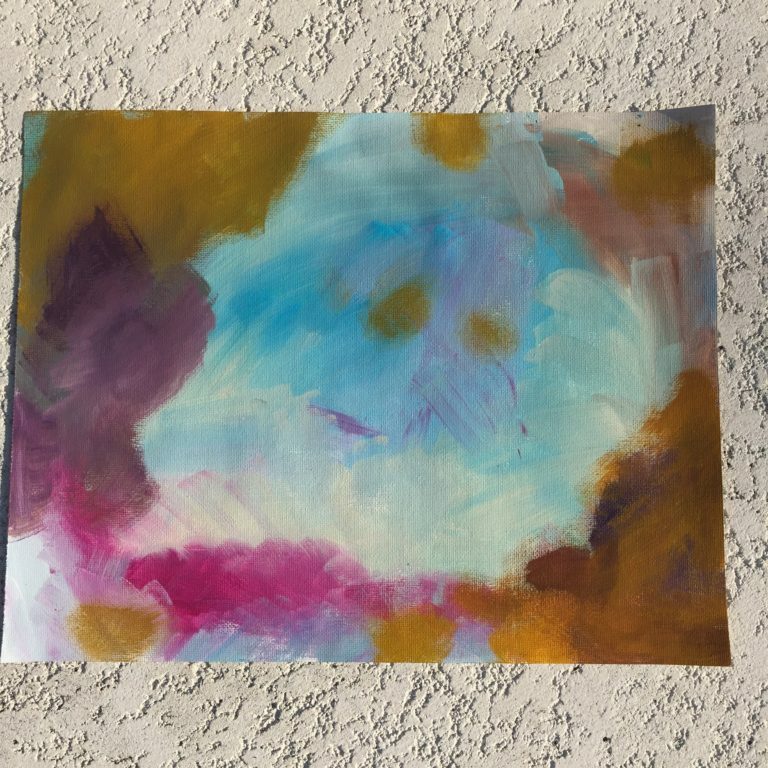 The result may spark an idea for your next painting or series, based on your color choices or composition. Do some creative play, and that will help you with your creative work.